Artist Paco Rosic takes viewers on a journey from settlement of the Mississippi River town in the mid-1700s to the development of its iconic sports teams and beer factories. Paco Rosic: "Every American city has a rich history"
Rosic's art takes viewers on a journey from settlement of the Mississippi River town in the mid-1700s through the World's Fair and into the development of its iconic sports teams and beer factories. "I want it to look as if you took a book about St. Louis, threw it in the air and the pages blew all over the ceiling in different stages -- so that you could actually see the story come to life," Rosic told CNN. 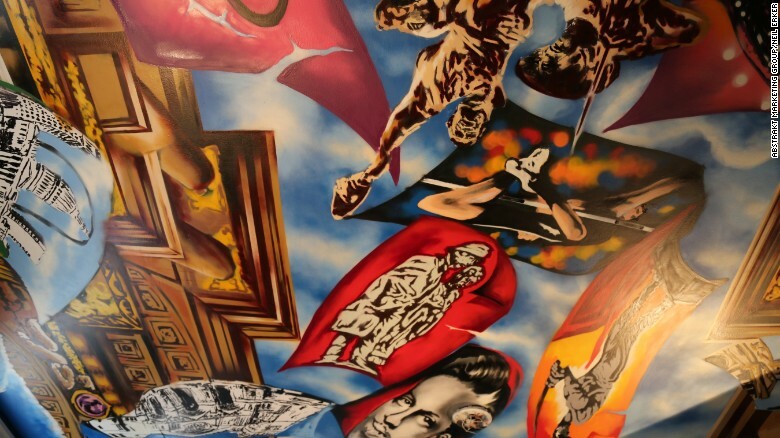 The 1,000-square-foot canvas includes depictions of basebal player Stan Musial and the Gateway Arch. "Every American city has a rich history," Rosic says. "If you're from St. Louis, you really love St. Louis. And that's kind of pride I've seen in many places across the US. It amazes me and drives me to do more projects like this one." Rosic's journey to America was a long and winding road. He was born in Bosnia and grew up in the early 1990s during Yugoslavia's brutal civil war. His first art exhibit was at an area hospital full of children who'd been hit by shrapnel during the war. He painted birds on the wall, a symbol of hope, that one day they'd all be able to escape the violence. Paco Rosic paints the history of St. Louis. Rosic was 12 when he got out. His family landed in Ludwigshafen, Germany. That's where he was first introduced to graffiti art. The taggers he met called aerosol cans "weapons" and graffiti "beautiful writing." Rosic learned to paint by practicing with the best on the streets doing paid gigs on buildings, tunnels and trains. Adjusting to life in America's heartland was not easy -- but Rosic continued to find his identity through art. 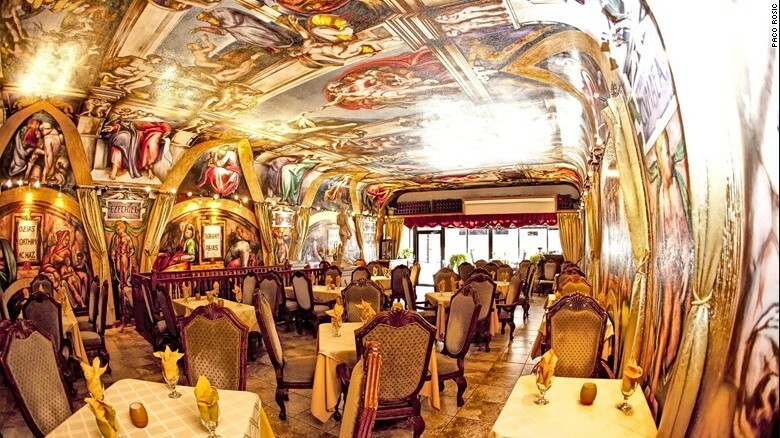 The story includes more than 400 characters -- a sea of biblical scenes that stretches across curved plaster. It was the first reproduction of the original masterpiece in 500 years and tens of thousands of visitors from all around the world have flocked to see Rosic's version. "It you put a bird in the cage, it would be sad. 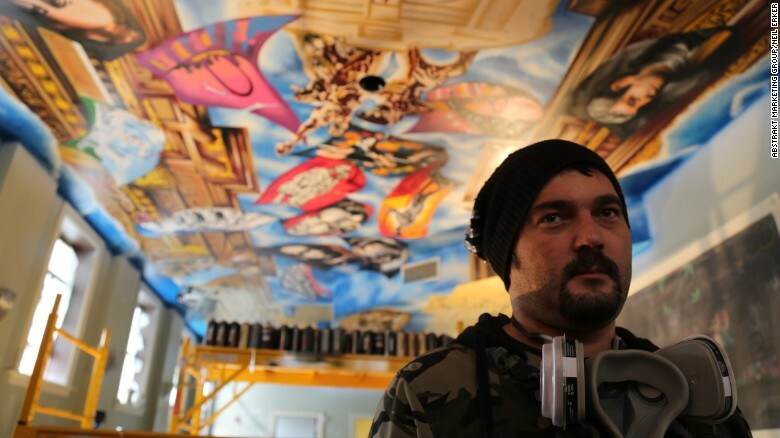 That's what it's like if you take graffiti and put it in a museum," Rosic said. "Graffiti is wild. 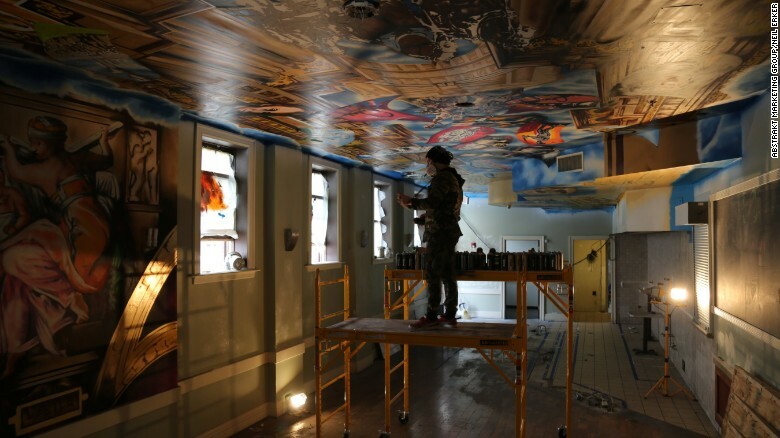 I used the same media as street artists but do it my way... painting Renaissance style with spray cans on ceilings. You only see two modern ceilings like this in the world right now: Iowa and St. Louis."